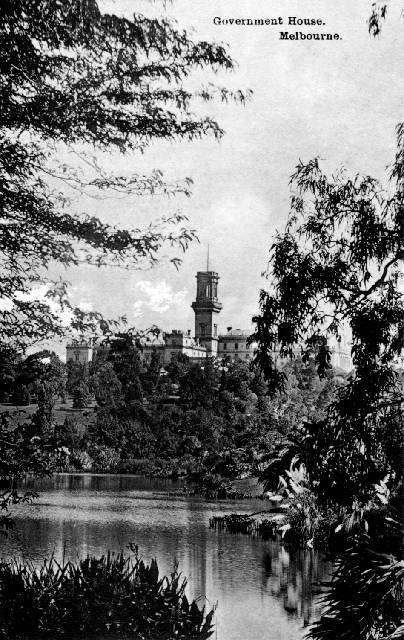 In the 1860s, Parliament decided that a new and more elaborate Government House was required but stated that it should not cost more than 25,000 pounds. The startled tenderers, on reading the specifications, were convinced it would. In addition to drawing, dining and waiting rooms, a ballroom 70 by 100 feet, twenty bedrooms, a shawl room and a library, the ‘impressive edifice’ was to be built in brick, rendered in Portland cement. 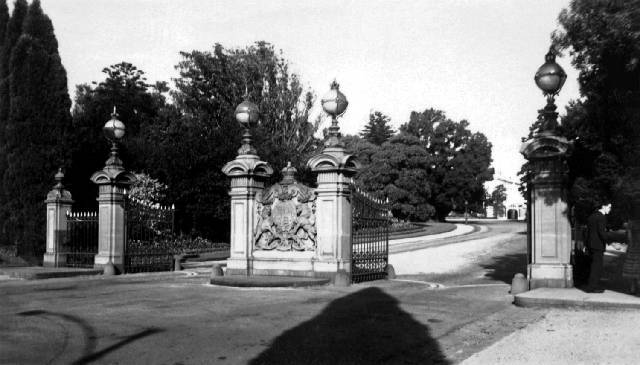 By the time Government House was completed in 1876 to the design of W. W. Wardell, the architect of St Patrick’s Cathedral, the cost in the best of Australian large building traditions had risen to 154,000 pounds. It is, however, Melbourne’s stateliest home, the centre of which is the lovely ballroom with its arcade and delightful musicians’ gallery. 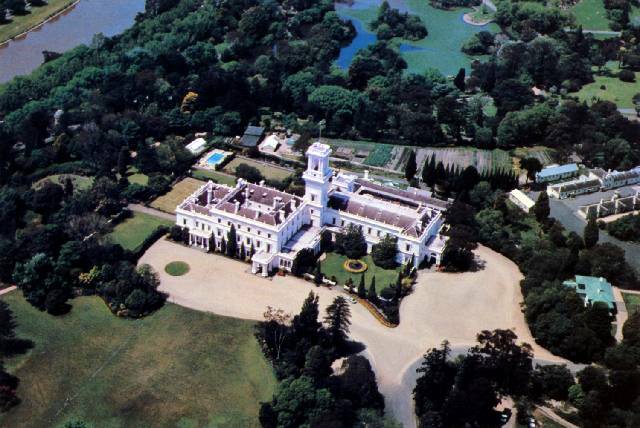 Built in bluestone in the Italianate style and modeled on Queen Victoria’s Osborne House, the ivory-coloured stucco façade is impressive with Ionic columns above the Doric of the porticos below. 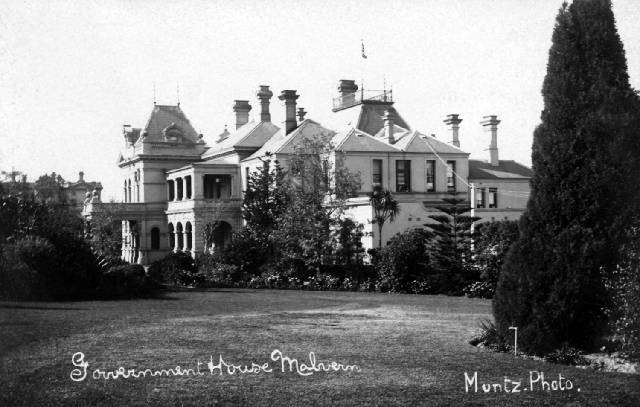 Old postcards of Government House. 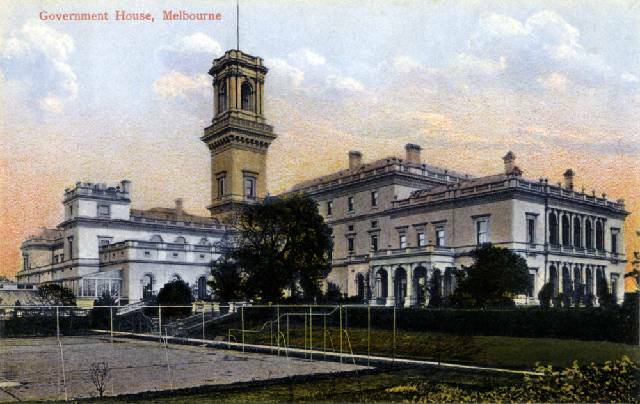 Stonington, as it is known today was the State Government House during the time when Federal Parliament was located in Melbourne (1901-27). 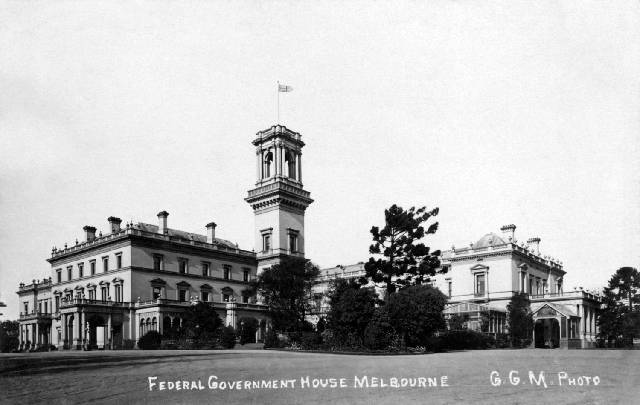 Government House was the home of the Governor General during this time. 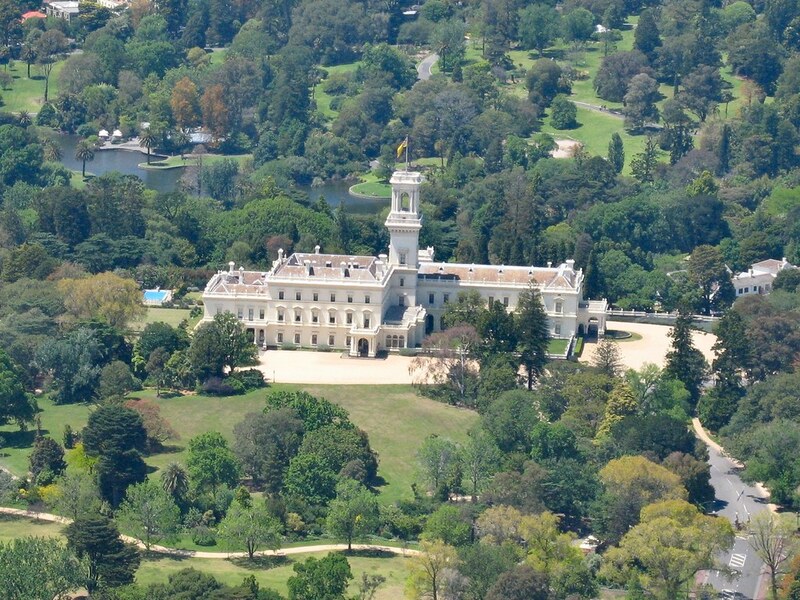 and if I remember correctly it was Peter Costello who said the Federal Government should buy Stonnington and make it a Melbourne home for the PM - ala Kirribilli House? ^^ Now that would have been a good idea!